Mark your calendars for the end of August. 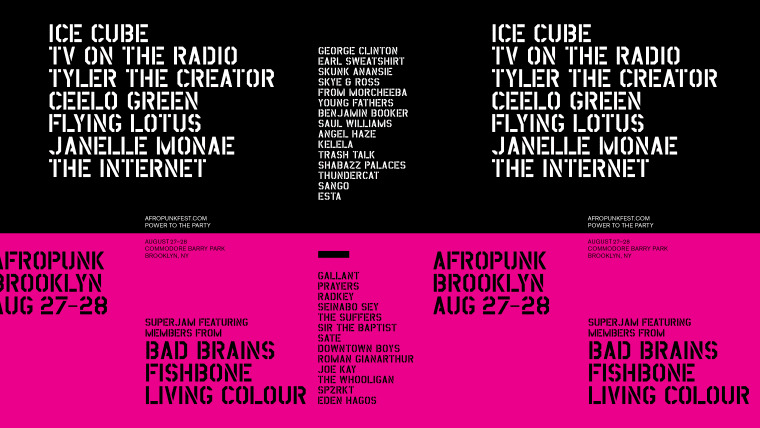 The Afropunk festival will return to Brooklyn's Commodore Barry park August 27 and 28. 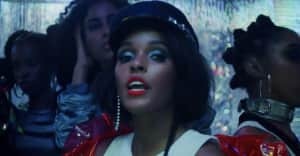 As per usual, the fest features a wide-ranging lineup that draws from rap (Ice Cube, Earl Sweatshirt, Tyler, the Creator), R&B (The Internet, George Clinton, Kelela), rock (TV On The Radio, members of Bad Brains and Fishbone), and elsewhere. Two labels, Brainfeeder and Soulection, will also get their own stages at the event, allowing them to showcase a diverse group of like-minded acts. Just like last year, fans can purchase tickets or acquire them in exchange for community-oriented volunteer work with the Afropunk Army. At least eight hours of work is required to earn a ticket. Since 2016 is an election year, Afropunk comes with a "Power To The Party" theme. Learn more about the theme and check out the full lineup below. Power, it's a feeling, it's an energy, it's the undisputed connection between cause and effect—the best of us give it away, the worst usurp it, but living modern life to the fullest, means either mastering your relationship to it or walking in its shadow. We are not blind. Party is an oxymoron, it's a gathering of many for a shared purpose and it's also an outcast individual, it's a lively social occasion as well as a gang—and the story of any party is never over, because like naked cities and the metaphysical "I", there's always another take. Power to the Party means trusting the friction, the transference of great capacity to the free spirit, belief in the high-heeled spark of the assembly, and the group-mind's ability to choose a glorious path. This isn't about getting elected, or being protected; it's about staking a claim. Join the party and feel its power.